Molly was raised in one of the most affluent families of Houston, the granddaughter of the CEO of a Fortune 500 company, whose Depression Era work ethic and humble values Molly assumed — even if she was expected to be a housewife and stay-at-home mom. Fast-forward to today, and Molly is just one of five members (out of 5,000 of her peers, and the only woman) of AXA Advisors’s Elite Producer Group Steering Committee Board. Translation: She is a badass. She is also a passionate divorced mom of three whose practice, Well Lived Wealth, helps affluent women (with investible assets of more than $2 million, or annual income of at least $1 million), navigate the anxieties and fears of having money as an unpartnered woman. Why so many successful women with thriving businesses are lousy with their personal finances. The secret to how Molly finds guilt-free time to be a very engaged single mom who rides bikes to school each morning with her grade-school aged son and the neighborhood kids, hosts Fajita Fridays weekly (margaritas served at 5 p.m. sharp! ), maintains an intense fitness routine (17-mile paddle boarding, anyone? ), prioritizes volunteering, and leads an enviable dating life. How affluent moms can avoid raising children who are spoiled brats (Molly's teenagers drive older, non-luxury cars, work part-time jobs, have daily chores and are required to pay for their own travel programs). Molly's advice to financially independent women worried about attracting men who are mooches — or scaring off men intimidated their money. How to get over your fear of being broke (which is far more common in affluent women than you may guess). Learn more about Molly, and how you can work with her, at WellLivedWealth.com. Why haven’t you gotten an STD test? This founder can help. Emma: Ladies, I am so interested in interviewing today’s guest, Molly Ward. She is a financial advisor. She’s based in Houston, but she works with clients all over the world, and she is one of the very, very top producers for AXA, which, in case you don’t know, is a global financial services firm. She’s a financial advisor, which means she helps people with money make their money even more. But she has recently helped a new practice, it’s called Well Lived Wealth, welllivedwealth.com And she focuses exclusively on affluent single women. So, of course, we know each other. How could we not? Emma: Molly, thank you so much for being here today. Molly: Yeah. Thank you. I’m happy to be here. Emma: So, first of all, I just want to get into this. Why rich single women? Why are you so interested in these women? Molly: Well, I completely get this group, Emma. I mean, frankly, I am one of these women and I live, eat, and breathe exactly what they’re living, eating, and breathing, except I, completely understand the money part of it and I can pass along and help women feel confident because I feel so confident in how I am with money. So, that comes from growing up with money. My family had money growing up. It comes from being the main breadwinner in my family when I was married, and now I’m a single mom of three kids and am so confident with my money and then want to pass that feeling along to other women too. So, these women have a place in my heart. They have a place in my heart and I want to be able to help them with their confidence with their money. Emma: So, you know, when I hear, “Oh, rich single women.” I mean, I think, well what do they need help with? Right? They have money. They have all the money in the world. Why? But then, of course not. They’re human and they’re complicated like anybody else. But, they probably, I’m guessing– tell me if I’m wrong– have their own unique complications that other people don’t. Molly: That’s right. You would think that just because somebody has money, they don’t have issues with money, but they certainly do, and it comes from everything. I hear the women are talking to me about, they are, confused about how to balance their kids with money. You know, what are the decisions they should be making with their children. They have the money to spend to get their kids anything they want, but how do they balance that with not raising spoiled brats? I also find that women, they have clients, women clients that are brilliant business women but they’re stuck. They’re stuck in making financial decisions. They, sometimes take what I call the ostrich approach, where they’re just putting their head in the sand and not making any decisions at all. Emma: And what is that? Explain that to me. Why are women, specifically more than men, because again, this is– you have a much bigger, broader, general financial wealth management practice in Houston. So you– It’s not like you’ve only worked with women your whole career. You also have a lot of insight into married families, and single men, and all kinds of demographics. So, you have a great perspective on why affluent single women are more likely to stick their head in the sand and ignore all of their heaps and piles of money, opposed to managing it responsibly. Why are they so susceptible to that more than other demographics? Molly: Well, they are. I think part of it roots to that this industry is very male dominated, so they’re trying to find somebody that they trust to do business with. So, they hesitate on giving that trust to somebody that might not be able to relate to them as well as another woman would. So, there’s a trust factor. They’re– Women are more conservative with their money than men, but that’s not always good to be too conservative. Emma: But why is that? Is it because no one has taught them about managing money? Is it because there’s like, a social shaming that women are bad with money and they don’t have the insight to their own– they don’t have that confidence that you talk about? Like, why are women– Why do they have those not so great habits sometimes? Molly: Well, I really think it’s a trust issue. You know, it’s something in their gut, it’s an instinctual thing that women are not necessarily taught or raised with of going with their gut, their intuition on investing their own money. They’ve worked really hard for their money that the women, the business women that have really earned this money and then they stick it in their bank account and they’re afraid to death to do anything with it. It’s maybe ingrained with them from when they were younger. Or they just are lacking the trust in working with an advisor to help them get off the fence. Emma: And there– I mean there’s some real reason for that, right? Like, we have been through several, in my life time, ups and down in the economy, and lots of financial scandals, and it’s men who are usually leading those financial institutions. Oh my gosh, it was– what was going on? We were listening to the radio and the news, and I think there was a shooting, and my daughter, she’s nine-years-old, she goes, she’s calling from the backseat of the car, she goes, “Mom, why is it always men that are making the trouble?” And that’s tough. I mean, that’s a tough one when you know– So, how do we teach our kids, our daughters, to trust men, or male dominated institutions like the financial services industry? So, there’s very good reason why women wouldn’t trust others to manage the money. Molly: Yeah, I agree with that. Molly: Well, first of all, I’m going to spend a lot of time with her on trying to understand what her background is, why she thinks about money in the way she does. There’s going to be a long time spent with that. Of how she earned that money. What’s important to her about that money. And then from there, I go back and I do all my diagnostic tests, you know, that prove to me that yes, this woman can live for a lifetime on her money, or invest it in a certain way. And then I come back and translate that to her, and how I’m translating it is, I’m not showing her all these numbers and all these interesting pie charts. Well, they’re actually not very interesting pie charts. Emma: I think that’s an oxymoron, interesting pie charts. You are independent.Give yourself permission to invest and spend. Feel really good about how you’re taking care of your family. Molly: Yeah, what I kinda communicate to her is, “Look, you know, you have it. You have the money. You are independent. You should give yourself permission to invest this money. You should give yourself permission to spend this money. And you should feel really good about how you’re taking care of your family.” If she’s the matriarch of her family, and she comes and meets with me, I’m gonna help her feel really confident that she has left no stone unturned to take care of her family in the event that something happens to her. Or you know, who knows. When a woman leaves working with me, she’s gonna feel extremely confident that she’s made the right decisions for her family when it comes into regards to her money and the type of legacy that she wants to leave to her family. Emma: Yeah, I mean, I’m wondering if women, these affluent women, have so many hang-ups despite the numbers. Like, right? The numbers might tell a different story. The number might tell her that she’s set for life, or she’s very comfortable, or that her children would be comfortable in the event that she passes away. But, we’ve all been told that we should depend on a man. And the fact that she’s not depending on a man leaves her feeling vulnerable financially. Is there something to that? Molly: Yeah I think so. I mean, I think that there’s a lot of that ingrained in women. That being dependent on a man, the man making the financial decisions– And there’s also in the back of her mind, probably thinking, “Well okay, I have all this money. I’ve accumulated all this money, but what if something happens? What if the stock market crashes? What if I–” You know, if it’s an older woman, “I have to go and have long-term care and have people, sitters at my house 24 hours a day.” There’s all these what ifs in the back of a mind of these women that have a lot of money, and they’re struggling to really feel a relief, or actually a permission to say, “I’ve got it. I’ve got it covered.” They’re stuck, and through my program of working with me in showing them I understand where they’re coming from, I’ve grown up with this, I know it, I get it. It affects all facets of life from our children to our love life. There’s no better way to become independent on your own when you get a full understanding of your picture. Which is what I help people do. And then from there, translating out to, okay, this is why you’re independent, this is why you should give yourself permission to feel good about these decisions you made. Emma: Yeah. It’s so interesting. But let’s– I want to just hear about your story a little bit more. You mentioned that you come from money yourself. I mean, we’ve gotten to know each other, and you come from a line of money. Like, an extremely affluent family. Several generations. But, it was never expected that you were to go and earn. You were supposed to be a housewife like all the other women in your family. Molly: Yeah, but that actually, just to back up just a little bit, I did grow up, upper-class family, but while I was growing up I thought that we were barely making it. Emma: What is that? How does that happen? Molly: Well, you know, it is just– Now, looking back you know, with hindsight it’s the strangest thing, but my mom used to– she wouldn’t order cheese on her cheeseburgers when we’d go and get a hamburger because they were 10 cents more and we’d have to come home and slice the cheese and then heat them up in our microwave. And that’s because she wanted to save the 10 cents. You know, she was always refilling the soap containers with water. I felt so bad that I would sneak money into her purse at night when I was a kid. So, there was something you know, there’s such an oxymoron there with the wealth that we had but how we were raised. We were raised in a very humble environment and very, you know, we were always preached to work and to be humble with money. But yeah, so then fast forward to when I’m trying to actually work as a career after college. There was no pressure before I went to college to get a degree that would help me make any money. Molly: Well, I remember before I went to school, having a conversation with my aunts, and my grandmother, and my mom, and about, “What are you– What are you going to major in?” And I said, “Well, I just– I really don’t know. Maybe business.” I remember them telling my brother that he had to major in business. But there was no guidance to me. All they said about that was, “Well, you should probably talk to your uncles and your dad about that.” So there was no pressure. There was no leaning or pressure on anything that I had to major in. And then, in fact, I actually got engaged before I graduated from college. So, I think I accomplished the goal that my family might have wanted me to. But in reality, my mother, my grandmother, all my aunts, are very highly, highly educated women and intelligent, but did not encourage me to get a career. So, when I did graduate, I was engaged, there was no talk about me getting a job even then. It was all about, what china pattern are we gonna pick? And silver pattern. And planning the wedding. But thankfully, thankfully, I landed a job at a regional bank that had the wealthiest Texans at the time, it’s where their money was. So, that was eye opening. Emma: Why? Why was that eye opening? Molly: Well, it was not clear that this wealth would continue. I was engaged to a very smart, dashing, he was already a CPA, enrolled in law school, future looked bright, but it was not ensured to me that we would have the type of wealth that I was used to. And when I was working at the bank, I got exposed to the CFP, or the Certified Financial Planner designation, and I thought, “Well, that would be so helpful for me to know that. He can go make money, I can stay at home with the kids and the white picket fence, and I can be the CFO of the household and bring us to that next level through my skills of the CFP.” So, basically, it started out as a hobby. Emma: But I think, you’ve told me in the past that when you were, I mean you were still a student, or you were a very young woman, and you could see the numbers. You saw for the first time in your life, the numbers of these affluent families that you had grown up with. Like, they were part of your family’s social circle. You saw how much it cost to maintain that lifestyle that you were used to and even though your husband or husband-to-be was making very good money, and his future looked bright, those numbers were not anywhere near what you knew it was gonna take to have like you said, the wealth that you expected. Emma: They also have a very high lifestyle. Molly: A lot of flash and not much humble, being humble with money. So, it was just so strange to me that the money would be flaunted, but they really didn’t have the kind of money that I knew was true wealth. Emma: Interesting. So, in a way, going out and earning– because everyone expected you to, like you said, like your biggest aspiration at that moment was to get this higher designation, a CFP, so you could stay home and– So, it was always about earning money or managing money to save your family. At first, you thought you were gonna do it at home, and then you got real. Molly: Yeah. Yeah, and then I actually found out I could actually go and have this job and get paid money. It wouldn’t just– It didn’t have to be just a hobby. I could do it for other people, I was passionate about it, I loved what I was learning, geeking out on learning all of it, and wanted to help other people and found out there was an actual career where you do this, called financial planning. Emma: Okay, so talk to me about what was going on. Because I imagine all of your family, for one, and maybe even your friends and your community, those were all a bunch of rich stay at home moms, and here you are, working. So, what was– Was there any kind of push back or challenge that you faced socially? Emma: Here we are 20 years later and the world is different. I mean, the world is different now. Or is it? I don’t know. Molly: No, you know, and what really happened well is I started building that business up, the financial planning business, for other families, not just my own. That was right about the time, well I got pregnant with my first child and technology was starting to change too. And so, that enabled me to have a lot more flexibility with my career and with being a mom. And so I really think that if those things hadn’t happened I wouldn’t have the work-life balance that I craved. Emma: Well, okay, and so, you do, like I said, I’m gonna say this again, you are one of the top performers in the world as a financial advisor for your organization. Which is, what? AXA is one of, if not, the biggest financial services firms in the world. Emma: And you are a divorced mom, and you– like it’s– I’m interviewing you and it’s 4:30 your time in Houston, and in 30 minutes all the neighbors, like they do every week, are coming over margaritas, which kicks off Fajita Fridays. Emma: And you are such an involved, and cool mom. And you’re also modest. I’m going to say on your behalf, all of the cool things that you do. Some of them, I don’t know them all. Like, you ride bikes with your kids and some neighborhood kids to school every day, you chaperone them. And you, for the holidays and random days, you guys decorate all the bikes. Emma: Yes, and you take your kids on really cool trips where you like, go fishing, like deep sea fishing, and camping, and you’re super athletic and you’ve a really hot bod. And you have a really fun dating life now that you’re single. And you are very involved in your community. You give back. Emma: And you are involved in your church. And you sit on boards at the local university. And you are a– you’re frugal with your kids. You make them work. And you don’t give them crap and you make them drive old cars. Molly: Yeah, yep. Such a mean mom. Emma: You’re such a mean, rich mom. Emma: This is for all the women listening to this. I hear so often, “Oh, well I would love to start working again.” Or, “I would love to take a new job, or go for a new business.” Or, some career or financial ambition, and they say, “Oh, but then I would never see my kids.” They have time and money directly linked in their minds. It holds them back so much. So, I’m just wondering if you’ve ever struggled with that yourself? Molly: Oh absolutely, yeah. I really struggled with it. It really wasn’t even quite sure if I was gonna stick with the business when I had my first child. And so, I tried it, I wanted to have that great work-life balance. Being self-employed, I think it’s easier but also harder to strike that balance. So, my method of this is always just to be very disciplined with everything. I mean, I couldn’t have survived without it. So, disciplined in my work life, and very disciplined in my fitness and my exercise and health. So, if I didn’t have that discipline with my work or my health, I would definitely not be where I was today. Emma: But you know what, one thing, Molly, that I really have learned a lot from you, is that you are ruthless about outsourcing. Molly: Oh yeah. Yeah, that’s true. So, I really made a leap in my career when I decided to start hiring people to work for me and with me. That increased my work, so I also did the same thing at home. Because, when I got home, I wanted to be home close to the same time that my kids got home, and so what I started doing at home was realizing that when I get home, I don’t want to be scrubbing the toilets. You know, I want to be there for them and with them when I am home. And so, then I started delegating many, many, many of the household chores to somebody that works for me at home, and that has worked really well. Everything from the cooking to grocery shopping, everything is delegated, and that has really helped me really be present with my kids and enjoy the time with them. And so, we can go on an extra bike ride in the afternoon, or I can go around the block with my girls. They have to, one of their chores is to talk the dog, the big dog, around the block. That’s a really special time with them. So, I wouldn’t have that if I wasn’t delegating. And I don’t feel bad about delegating. Emma: That’s the key. That’s the key. Because a lot of people will say like, “Oh, she’s rich of course she can delegate.” No, you got rich because you delegated, and in order to delegate, you have to let go of the– I think it’s two things, and I’d love your input on this– I think it’s 1. You have to take risk because it’s– I don’t care what income level you’re at, it’s an expense, but it’s an emotional risk too, right? You could take that risk and have your house cleaner come, or your housekeeper come every morning but you risk, I don’t know, losing your dignity because good moms are supposed to, I don’t know, do the laundry or whatever. Whatever bullcrap that women tell themselves. Right? There’s never been any success in this world without risk, and it’s, it’s not just the financial. It’s the rest of time, it’s a risk of your energy, you have to risk your own identity, and there’s so much message out there that good moms, right, good moms do the laundry. Good moms are there every day when their kids get off the bus. Well, and do you really believe that? You know what else good moms do? Good moms are happy. And good moms make money. And good moms show good work ethic to their kids, I think. Molly: And good moms are good friends to other moms. And that might take their time away from those moms. But yeah, I completely agree with you, Emma. That’s– I can’t imagine. I’m very glad by housekeeper didn’t leave me. 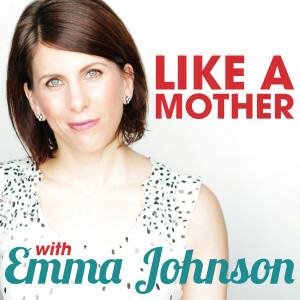 Emma: Yeah, I often– My kids will ask me like, “Mom, who’s your favorite kid? Which child do you love more?” I’m like, “Sandra.” That’s the housekeeper. She’s my favorite. Molly: Yeah, but yes, she’s very much part of the family. Emma: Yes. So, I want to go back to this whole issue of the affluent single women. I mean, the big challenge I often hear from, successful women, right, is, “No guy’s gonna want to date me. I have too much money. They’re intimidated. They can’t envision what they can bring to the relationship.” What do you– And I think women hold themselves back. As a gender, we could be so much more successful, so much more powerful, if we didn’t have that fear of not being attractive to men. And I don’t know, what are your thoughts on that? Molly: Yeah, you know, I’ve had a little bit of dating experience here over the last year, and what I have found is that the men are often surprised when they hear that a woman doesn’t need anything. Doesn’t need kids, doesn’t need money, doesn’t need to get married. I’ve gotten a few different reactions from that, but it’s not– They are not hearing that. That’s not what the men are hearing from most women. Emma: Because most women do need something. They want, they want insemination. They want someone to take care of them or a better lifestyle. Yeah. Molly: Right. Right. So, it’s a different ballgame, and it’s a really nice b– It’s really nice, I feel, to be in the position that affluent women that already have the kids, that you know, already have kids and are in control and are independent. What a nice to be in a dating life. Emma: I’m in the same situation. It’s like if I’m with a man it’s because I really like him. I’m not trying to get something out of him. And PS, men are people too. They want to be loved. Emma: I find the same thing, and I also find that if you’re dating men of any success at all, they’re used to their exes, whether it’s an ex-wife or ex-girlfriend, was mooching. They always feel like if they’re paying alimony and they are bitter about it. Or they felt that women were always, not necessarily always taking advantage, but to your point, wanting something out of them. And they’re often angry about it. Molly: Yeah, I’ve found that too. But it is, it’s refreshing when they come across myself or some of my friends that have recently been dating are in the same position that I am in, they find it very refreshing. Some of them aren’t able to play in the same space, I guess we should say. They’re not able to keep up. So, there does seem to be a lack of a pool of men that are as active, as motivated, as the women I’m working with. Molly: They’re not as passionate about living, not motivated. Well, I think actually the, really the word is, growing. They just stopped growing. Emma: Interesting. But what do you say to your female clients who are like, “Yeah, I don’t really want to like, let my boyfriend know about my money.” Or, you see maybe younger women who hold themselves back professionally because of that fear. What’s your message, what’s the message? What’s your daughter’s? Emma: Cautionary tale. Yeah, it does. Molly: Yeah, and then when my girls, they’re so funny, they’re 17 and 15 and so I often bring up, opposite to how I was brought up, I’m always bringing up their career and what they’re gonna be doing, and you know, how they– I just asked them yesterday, I asked one of them, you know, “Do you see yourself being more successful than how you grew up? Do you see your family and you know, and how you’re gonna be in your career, more successful than how you grew up?” And to think about those things, and to think about these odd businesses, odd business tracks. You know, not the doctor, not the attorney, but different types of career paths than are traditional to where they’re happy and where they make money, but to definitely be independent. Definitely. Definitely. Emma: Yeah, and I think it’s going to be such a different game when our daughters are young and old women. I mean, I think the fact that you have a whole business built around affluent single women is a testament to the moment we’re in, in history. Molly: Yeah. Well, and it’s great. And you know, it’s more than, it’s way more than just money management. I mean, this is not about, you know, where– what’s the hot stock of the day? It’s not at all about that. It’s about way more than that. It’s about how to make money decisions for my family. How am I making sure that I stay independent? You know, giving yourself permission to spend money. Also, giving. Giving with my money. So, there’s all kind of things that my program at Well Lived Wealth encompasses, besides you know, whatever the hot stock of the day might be. Emma: Right. Right, right, right. Well, it’s a pleasure to talk to you. I love this business. So, it’s Well Lived Wealth, and it’s Molly Ward. If you want to learn more about her, there’s some really awesome articles on your site. Because I just think it’s such a fascinating topic and I cannot wait to see where this business goes. Molly Reese Ward, CFP® is a financial professional with Fitzgerald Wealth Management. Securities are offered through AXA Advisors, LLC (NY, NY 212-314-4600), member FINRA/SIPC. Investment advisory products and services offered through AXA Advisors, LLC, an investment advisor registered with the SEC. Insurance and annuity products offered through AXA Network, LLC. AXA Advisors, AXA Network and their financial professionals do not provide tax or legal advice. Fitzgerald Wealth Management is not a registered investment advisor and is not owned or operated by AXA Advisors or AXA Network.